Think and Grow Rich has been called the “Granddaddy of All Motivational Literature.” It was the first book to boldly ask, “What makes a winner?” The man who asked and listened for the answer, Napoleon Hill, is now counted in the top ranks of the world’s winners himself.The most famous of all teachers of success spent “a fortune and the better part of a lifetime of effort” to produce the “Law of Success” philosophy that forms the basis of his books and that is so powerfully summarized in this one. I read the extended version of the original 1937 Think and Grow Rich. The extended version includes contemporary anecdotes to add to Napolean Hill’s original anecdotes. Contemporary millionaires and billionaires mentioned in this updated version include Bill Gates and Mary Kay Ash. Most of the wisdom of this book lies in the first half. The thread gets a bit lost through the middle before finishing strong. This seems to be a pretty common theme with these motivational and positive psychology books. But if you are at all interested in becoming well-versed on these subjects, then this book is a must-read because like Mindset it is one of the seminal works in this area. Define and focus on the amount of wealth you want to receive. Determine what you intend to give in return for the wealth you desire. Establish the date by which you intend to possess the wealth. Create a definite plan for carrying out your desire and begin at once. Write out steps 1-4 into a clear and concise statement. Read your written statement aloud twice daily, really seeing, visualizing, and believing yourself already in possession of the wealth. Think and Grow Rich goes on from there to really dig into each of these steps, but these are the six core steps that underlie the whole book. You’re welcome! I think self-help is a horrible name for a really great category. Self-help implies that there’s something that needs fixing. I think self-improvement is a much, much better way to describe this collection of (for the most part) research-based books that aim to help us make changes in our own life. In the last year of reading more self-improvement books, there are a few people whose names have come up over and over. Whose research or writings have apparently been fundamental to this whole school of success psychology. Carol Dweck is one of these. One of the first podcasts I ever listened to last winter featured a discussion with Carol Dweck and her research on resilience and grit. Finally, I got my hands on her foundational work, Mindset. It’s a small, thin book and not at all difficult to read or understand. One thing I did really like was the structure of the book. After the topic and core research findings were introduced, there are a few chapters that are built on applying the mindset principles in more focused situations: business, sports, parenting, and personal relationships. This book is a great introduction to the topics that make up the keys to success, growth, and happiness. But it’s also just that: an introduction. 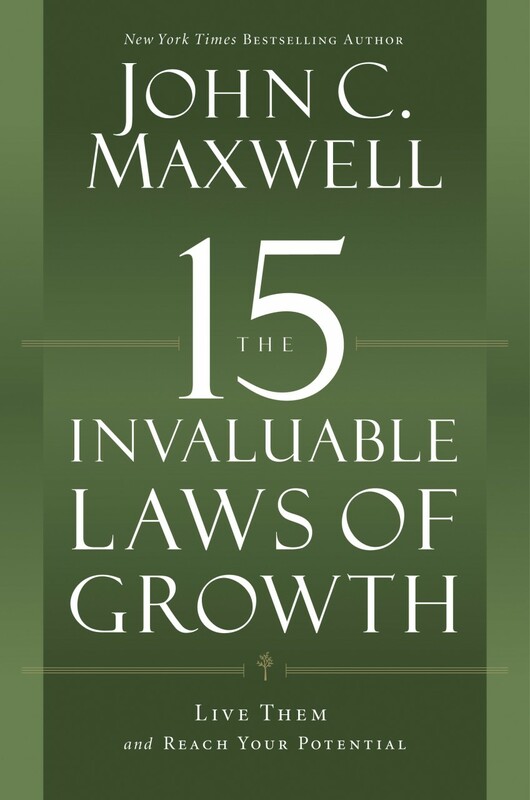 Each chapter on each of the fifteen principles is really no more than 30 pages at the most. Maxwell recommends that you tackle the book a chapter at a time, giving yourself time to process, reflect, and implement. I would take that a little further and say that these fifteen laws provide fifteen separate topics for further reading and research. There are many other great books that deal with one or a few of these topics at greater depth like Presence, Drive, Rejection Proof, and Good to Great. If you work in the social media and marketing world and you don’t know who Gary Vaynerchuk is, clearly you haven’t gone deep enough into learning about your craft. Gary is a thought leader in that arena and in business in general. You’ve probably seen his videos on Youtube or read his articles on Medium at the very least. If you’re like me, you’ve gobbled down his Ask Gary Vee podcast like candy. Gary is energetic, enthusiastic, intense, and incredibly focused. His work is something you need to check out if you have a business, want to own your own business, or need someone to give you some clarity on this whole internet age. That said, this book is pure Gary. It sounds exactly like him. So if you’ve listened to his show, watched his videos, or read his articles, and don’t like him and his message, you aren’t going to like this book. Crush It! has all the same energetic hyperbole that listening to an episode of Ask Gary Vee does, now in convenient book form! Sounds easy enough when you put it down on paper! But most people can attest that while #1 is totally doable, things kind of go off the rails during #2-7. And those are the real areas you need to put in work. Something’s going wrong in between, it’s up to you to figure out exactly what that is and fix it. Crush It! was written in 2009. So in some ways, it feels a tiny bit outdated. Some companies have lost attention, others are on the way out (Sadly looking at you Tumblr. You were what my early college years were made of and now I don’t even remember my password). But this also gives you a chance to witness Gary’s oracle skills in action. He made mention several times throughout the book about a combination cell phone and FlipCam hybrid coming to consumers everywhere in the near future. If you don’t know what a FlipCam is, it was a handheld, easy-to-use, easy-to-afford camera. Its relevancy faded as the capabilities of our cell phones increased and in 2016 we saw the broad rollout of live video…exactly as Gary predicted several times over in Crush It! Crush It! is a great introduction to Gary Vaynerchuk and his message. 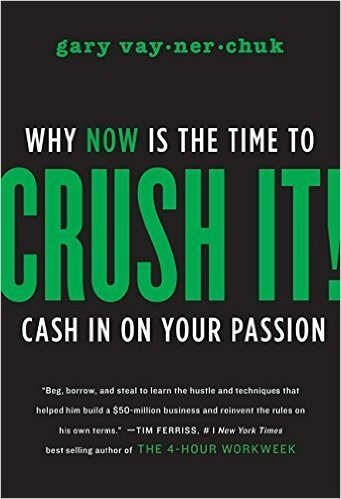 If you’re a Gary Vee fan like myself, you will also love this book because at this point you’re probably drinking in everything he says like a plant during a desert rainstorm. This is a short book that is certainly worth a read! I’ve made quick summaries of the four agreements, but you should really read this book for yourself. On being impeccable with your word: Don Miguel Ruiz reminds us how powerful the word is. The word is a two-edged sword with the power to create and to destroy. We must always be intentional about our words and never use them to sow fear, hate, or mistrust. “What you dream, what you feel, and what you really are, will all be manifested through the word”. On not taking anything personally: This is a pretty hard concept for me. I’ve gotten better, but I take a lot of things personally. But Don Miguel Ruiz says that what other people say about you, that hurts you or wounds you, says more about them than it does about you. When you take something personally, you agree with the statement, you believe what they’re saying. On not making assumptions: I believe humans hurt each other more often than is necessary by making assumptions. When we make an assumption, we believe it’s the truth, and when other people don’t act accordingly, we get mad and we get hurt. But it never was the truth because we made an assumption about what the other person was thinking and feeling. On always doing your best: By always doing your best, you will never need to judge yourself. Your best isn’t the same from moment to moment, but if it’s your best, you can’t find fault with yourself. If you don’t find fault with yourself, you won’t take anything personally.